Toyota Corolla Altis G HV AT is placed just above the Toyota Corolla Altis G, as this higher variant is blessed with some more features, such as front fog lamps, seat security locks, reverse sensor, immobilizer with alarm, body colored mud flaps, in-dash DVD player with a touch screen display with Bluetooth and USB Aux in-port connectivity and wireless radio with 6 speakers. The major thing that takes away the cake here is the Super CVT-i with seven speed sequential shiftmatic gearbox. The responsive 1.8 litre of DOHC 16 valve VVT-i petrol engine that is capable of churning out 140 PS of maximum power along at the rate of 6400 rpm accompanied with 173 Nm of peak torque at 4000 rpm has been coupled with Super CVT-i with seven speed sequential shiftmatic gearbox deliver to make the ride as smooth as butter. This automatic gearbox surely adds a bit to the price but makes the car worth every penny. Apart from this, the audio controls mounted on the steering make it easy for the driver to control the music system. 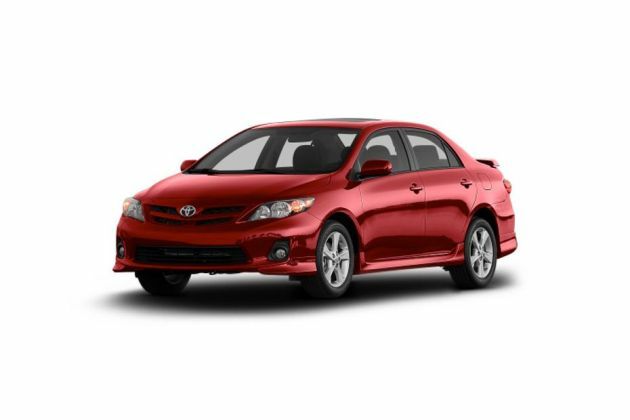 To add more comfort and convenience Toyota Corolla Altis G has been bestowed with automatic air conditioning system, front door courtesy lamp and 4 spoke power steering wheel, which has been wrapped in leather. Toyota Corolla Altis 2008-2013 is available in 10 different colours - Silver Mica Metallic, Light blue Metallic, Dark red mica Metallic, Champagne Mica Metallic, Celestial Black, Super White II, Blue Metallic, White Pearl Crystal Shine, White Pearl Mica, Grey Metallic.